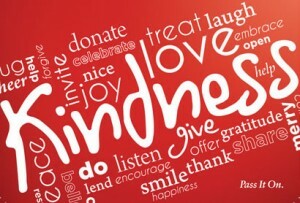 Friday 13th November is World Kindness Day! The aim is to spread a little love in your world by completing some random acts of kindness just for the fun of it!! Smile at strangers. Buy a coffee for the person in the queue behind you in the morning. Compliment a co-worker. Stop and have a chat with someone living on the street. Volunteer. Buy something from a charity shop and donate the change. Be good to yourself! This could be the nicest Friday 13th yet! Kindness is so needed right now ❤ great post!